“I’m proud of the fact that my entire career has been devoted to trying to help people. My research has been focused on areas that impact animal health and welfare, and nutrition and management strategies to improve the quality of meat products from beef and lamb,” said Dr. Fluharty. D r. Fluharty joined The Ohio State University as the manager of the OARDC/Ohio State beef feedlot facility in Wooster in December 1982, two days after being awarded his Bachelor of Science in Animal Sciences at Ohio State. He would work as feedlot manager from December 1982 until September 1993. During this period, he would earn his M.S. and Ph.D. from Ohio State, while also working as a full-time employee. After completing his Ph.D. in Animal Sciences, he was hired as a research scientist in 1993, promoted to associate research professor in 2007, and promoted to research professor in 2011. During his tenure at Ohio State, Dr. Fluharty’s primary research interests were determining the main nutritional factors impacting animal health and growth, and the nutritional and immunological factors affecting the site of fat deposition and meat characteristics in ruminants. His master’s degree research was conducted with starch chemistry and digestibility, and his doctoral research focused on the nutritional management of stressed ruminants through optimizing the functioning of the microbial population in the rumen. Dr. Fluharty's research has reflected consumer demand as consumers have increasingly insisted that production practices enhance the health and welfare of animals. During his career, Dr. Fluharty has been the P.I. or Co-P.I. on 46 successful grants totaling over $7.3 million. He has authored over 200 scientific and Extension publications regarding ruminant nutrition and animal growth in his career at Ohio State. Dr. Fluharty also works as a research, marketing, and technical writing consultant in the animal nutrition and human foods industries, and has given over 70 international invited presentations in 16 countries. Dr. Fluharty’s service extends beyond his research. Spring 2018 will mark the 20th year that he has taught Beef Production and Feedlot Management at the Columbus campus. In the past 16 years, Dr. Fluharty has been responsible for developing a 12-hour Feedlot Management Short Course, now available free online, and has taught this course to over 600 beef producers. This course led to the development of the Ohio Professional Beef Producer program, run by the Ohio Cattlemen’s Association. He is a co-inventor of two patents for genetic marker processes and DNA sequences to detect an animals’ potential for both marbling and tenderness. He also helped with the development of an all-natural branded beef program, Ohio Signature Beef™ with the objective of improving the profitability of family farms whose owners wished to produce cattle without the use of hormone implants or antibiotics, to address the market desires of consumers for this value-added practice. Succe ss as a researcher and instructor has led Dr. Fluharty to be invited to serve in leadership positions in a number of organizations. He has been on the board of the Ohio Cattlemen’s Association, the American Jersey Cattle Association Research Advisory Committee, the National Cattlemen’s Beef Association Beef Production Research Committee, and the Ohio Livestock Care Standards Board Beef Subcommittee. He has worked as a scientific advisor for the Inter-American Institute for Cooperation on Agriculture (IICA) Office in Chile and the Chilean Institute for Agriculture Development (INDAP), as well as the Japanese Wagyu F1 Council and Japan Cattleman’s Association. In 2014, he was named a Diplomate of the American College of Animal Sciences: Animal Nutrition Discipline, by the American Registry of Professional Animal Scientists. “Dr. Fluharty has been a highly valued, respected and productive member of our faculty for many years. His insight, relationships with producers and hard work on behalf of the Ohio beef industry will certainly be missed. 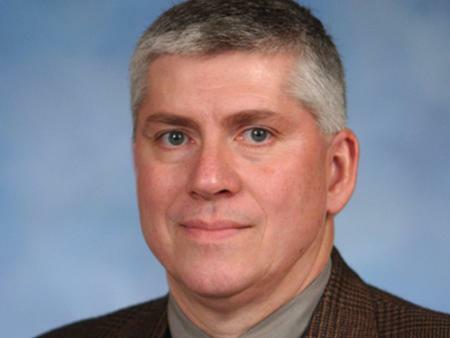 We wish him well in his new endeavors,” said Department Chair Dr. John Foltz. Dr. Fluharty already has plans for his retirement. He recently accepted a position in the University of Georgia’s College of Agricultural and Environmental Sciences; he will serve as the Chair of the Department of Animal and Dairy Science.